Oxymetholone 50mg Magnus Pharmaceuticals is a potent oral anabolic steroid derived from dihydrotestosterone. More specifically, it is a close cousin of methyldihydrotestosterone (mestanolone), differing only by the addition of a 2-hydroxymethylene group. This creates a steroid with considerably different activity than mestanolone, however, such that it is very difficult to draw comparisons between the two. For starters, Oxymetholone 50mg Magnus Pharmaceuticals is a very potent anabolic hormone. Dihydrotestosterone and mestanolone are both very weak in this regard, owing to the fact that these molecules are not very stable in the high enzyme (3-alpha hydroxysteroid dehydrogenase) environment of muscle tissue. 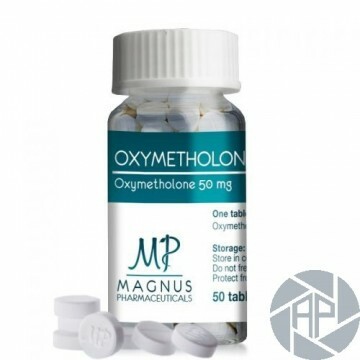 Oxymetholone 50mg Magnus Pharmaceuticals remains highly active here instead, as is reported in standard animal assay tests demonstrating a significantly higher anabolic activity than testosterone or methyltestosterone. Such assays suggest the androgenicity of Oxymetholone 50mg Magnus Pharmaceuticals is also very low (1/4th to 1/7th its anabolic activity), although real world results in humans suggest it is decidedly higher than that. Oxymetholone 50mg Magnus Pharmaceuticals is considered by many to be the most powerful steroid commercially available. A steroid novice experimenting with this agent is likely to gain 20 to 30 pounds of massive bulk, and it can often be accomplished within 6 weeks of use. Oxymetholone 50mg Magnus Pharmaceuticals produces a lot of water retention, so a good portion of this gain is going to be water weight. This is often of little consequence to the user, who may be feeling very big and strong while taking Oxymetholone 50mg Magnus Pharmaceuticals. Although the smooth look that results from water retention is often not attractive, it can aid quite a bit to the level of size and strength gained.The muscle is fuller, will contract better, and is provided a level of protection in the form of extra water held into and around connective tissues. Oxymetholone is a highly estrogenic steroid. Gynecomastia is often a concern during treatment, and may present itself quite early into a cycle (particularly when higher doses are used). At the same time both subcutaneous water retention and fat levels build. Androgenic side effects are still possible with this substance. 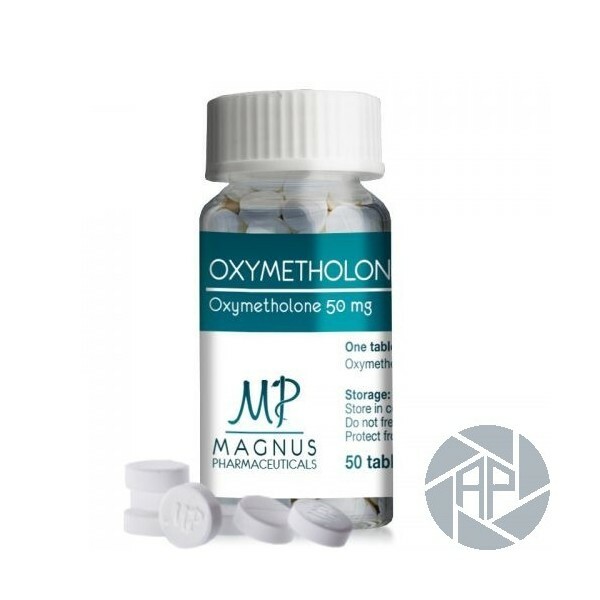 Oxymetholone 50mg Magnus Pharmaceuticals stack options are somewhat limited when compared to other compounds due to its impact on the liver. As such, you should stay away from oral steroids such as Dianabol because there is very little synergistic effect to counterbalance the risk of liver damage. However, Anadrol stacks nicely with Trenbolone or even Andriol, which is the only exception to the “no oral steroids” rule since it does not process through the liver at all. Try using 50mg per day of Anadrol along with 50mg per day of Trenbolone or up to 240mg per day of Oxymetholone 50mg Magnus Pharmaceuticals to see synergistic effects. Something else to consider when you create your Anadrol stack is post-cycle therapy, or PCT. You will need to continue taking both your anti-estrogen and your testosterone supplement for about two weeks after you stop your Oxymetholone 50mg Magnus Pharmaceuticals. This prevents low-T and the buildup of estrogen in your body, both of which can cause some unwanted (and sometimes permanent) side effects. An effective oral daily dosage would fall in the range of 25-150 mg, taken in cycles lasting no more than 6-8 weeks to minimize hepatotoxicity.